ST. LOUIS, MO--(Marketwire - October 1, 2010) - Purina is thinking pink this fall as they gear up for their first ever Pink 50 Campaign, an effort to unite animal lovers everywhere and raise awareness and support for breast cancer research. In September and October, more than 50 fundraising events will be held by Purina retailers nationwide in an effort to encourage communities to take action against the disease. "The purpose of the Pink 50 Campaign is to reach out to women in rural America --raising awareness about breast cancer, educating and sharing information and supporting one another," said Christy Goodwin, Marketing Manager, Land O'Lakes Purina Feed. "At Purina, we've always been passionate about making a positive impact in the lives of animals and their owners." 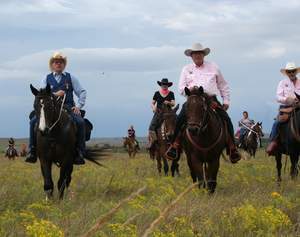 Purina's Pink 50 Campaign events will range from trail rides and barbeques to tack swaps, with each event sharing a common purpose -- to feed today for a difference tomorrow. For a listing of local events, log on to www.purinamills.com/Pink50. In addition to the more than 50 Purina events taking place across the nation in support of breast cancer awareness and research, Purina also will be turning its top animal feed packages pink. Purina plans to donate a portion of the proceeds from every pink bag sold to breast cancer research. Select animal feeds include Equine Senior®, Strategy® GX, and Omolene #200® horse feeds; Layena® SunFresh® Recipe poultry feed; Rabbit Chow™Complete Natural AdvantEdge® rabbit food and Goat Chow® goat feed. The Pink 50 Campaign was inspired by Purina's Equine Senior Horse Tales Contest held every other year that encourages horse owners to share their heartfelt stories. 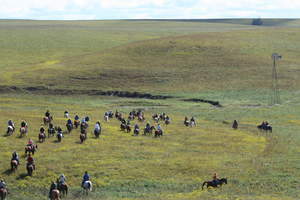 "Several stories that we receive from horse owners describe how their horses offered an escape from cancer and other illnesses and how their horses provided comfort to family members as they stood by and helped mothers, daughters, fathers and sons through treatment," said Goodwin. Purina's featured 50 local fundraising events are included below. To find more events in your area, or for more information on a specific event, contact your local Purina retailer or log on to www.purinamills.com/Pink50. Paso Robles 10/29 The Purina Paint Paso Pink Day Local dealers to be determined. Please check website for more information. 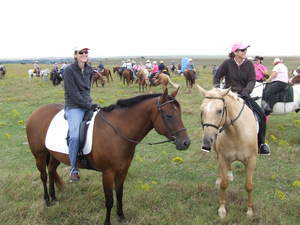 Elkton 10/10 Oxford's Pink Poker Prance to Kick Breast Cancer Horseback at Fair Hill Natural Resource Center Oxford Feed & Lumber - Oxford, Pa.
Gordon 10/2 Pink 50 Poker Ride Farmers Co-op Elevator Co.
New Philadelphia 10/10-10/16 Agland Goes Pink Agland Co-op, Inc.
Pottstown 10/2 Paint the Roller Mill Pink Pottstown Roller Mills Inc.
Fort Worth Fridays in October Pink Night Out at Stockyards Championship Rodeo Russell Feed and Supply, Inc.
Land O'Lakes Purina Feed LLC (www.landolakesinc.com) is a national organization serving producers and their families through 4,700 local cooperatives and independent dealerships throughout the United States. The company, in combination with its wholly owned subsidiary Purina Mills, LLC, is North America's leading feed company, providing producers, cooperatives and dealers with an extensive line of animal feed, ingredients and services designed to help agricultural producers, dealers and cooperatives compete in the global marketplace. 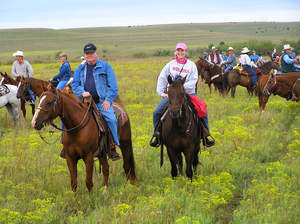 Purina Pink 50 horse riders at the Dream Ride in Cottonwood Falls, Kan. (From left to right): Harlan Haughton; Chris Goodwin, Marketing Manager, Land O¿Lakes Purina Feed. 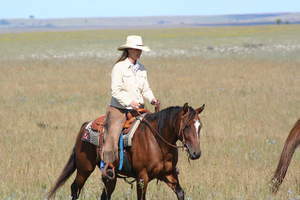 Purina Pink 50 horse rider, Teresa Anderson, at the Dream Ride in Cottonwood Falls, Kan. 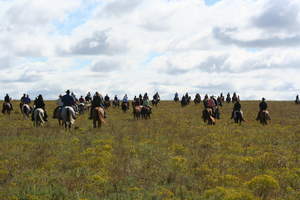 Horse riders at the Purina Pink 50 Dream Ride in Cottonwood Falls, Kan.